Welcome to the South East Lincolnshire Local Plan website, which gives information on the work of the South East Lincolnshire Joint Strategic Planning Committee. The Committee is a partnership of Boston Borough, South Holland District and Lincolnshire County Councils who are working together to create a single Local Plan for the area of South Holland and Boston Borough. The Local Plan will guide development in South East Lincolnshire over the next twenty years, and will be very important in shaping how the area changes over this period. It will identify opportunities for growth and will set out clear guidance on what planning applications will be permitted, and where. 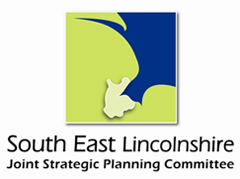 At its meeting on Friday 8th March 2019, the South East Lincolnshire Joint Strategic Planning Committee adopted the Local Plan. More information on this meeting can be seen by clicking here. The adopted South East Lincolnshire Local Plan 2011-2036 and associated documents can be seen by clicking here.